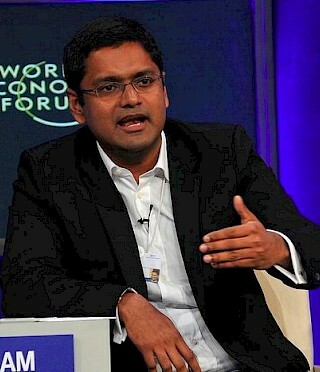 Reuben Abraham is founding CEO at IDFC Institute, a Mumbai based think/do tank focused on state capacity and political economy. He is also a non-resident scholar at the Marron Institute at New York University, a senior fellow at the Milken Institute, and an honorary advisor to the New Zealand government at the New Zealand Asia Foundation. In 2018, he was selected to Open Magazine's List of 50 Open Minds of India. Before IDFC, he was faculty and Executive Director of the Centre for Emerging Markets Solutions (CEMS) at the Indian School of Business (ISB). In 2012, he was named to Wired Magazine’s “Smart List 2012: 50 people who will change the world.” He was selected as a Young Global Leader for 2009 by the World Economic Forum, where he serves on the Global Futures Council on The Future of Cities and Urbanisation. He is a member of the international advisory board of Unicredit Bank of Italy; the boards of India’s Centre for Civil Society; Advocata, a Sri Lankan think tank; THNK, The Amsterdam School of Creative Leadership; FHRS, an affordable housing firm; Climate Policy Foundation; the steering committee of GSM Association's (GSMA) Interact Group; and on the investment committee of Endiya Partners, an Indian deep-tech venture fund. For a decade, he served as an independent director at the Soros Economic Development Fund (SEDF), a global impact investing pioneer. A prosperous future for India depends crucially on promoting well-planned urbanisation. Project’s grandeur criticised against backdrop of millions struggling in poverty.